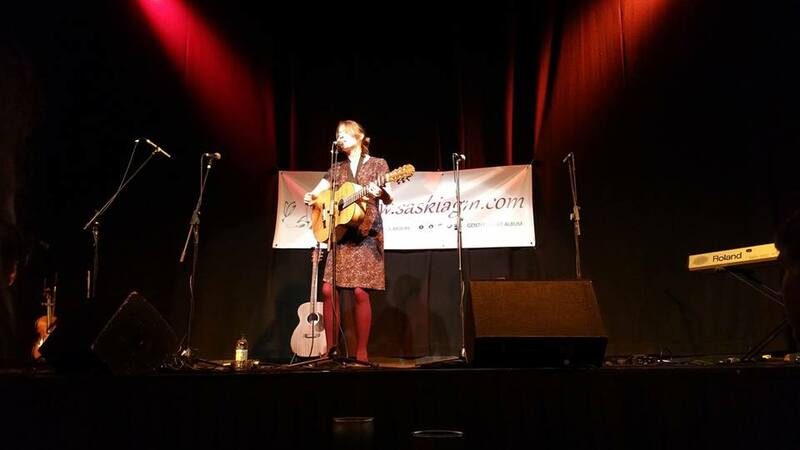 Saskia travels the UK performing in theatre's, community halls, festival stages and pubs, cafe's, and folk clubs as well as the odd private event, all year round. 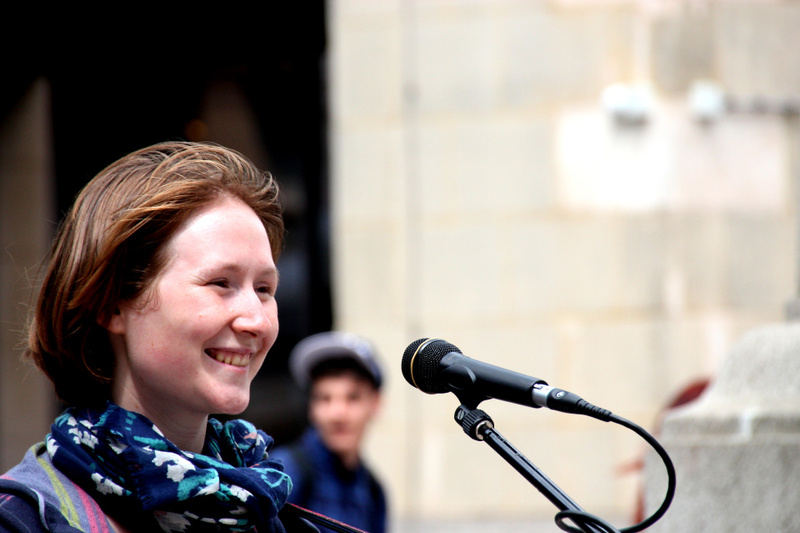 She is sought after in her local area and is branching out and building her national profile. 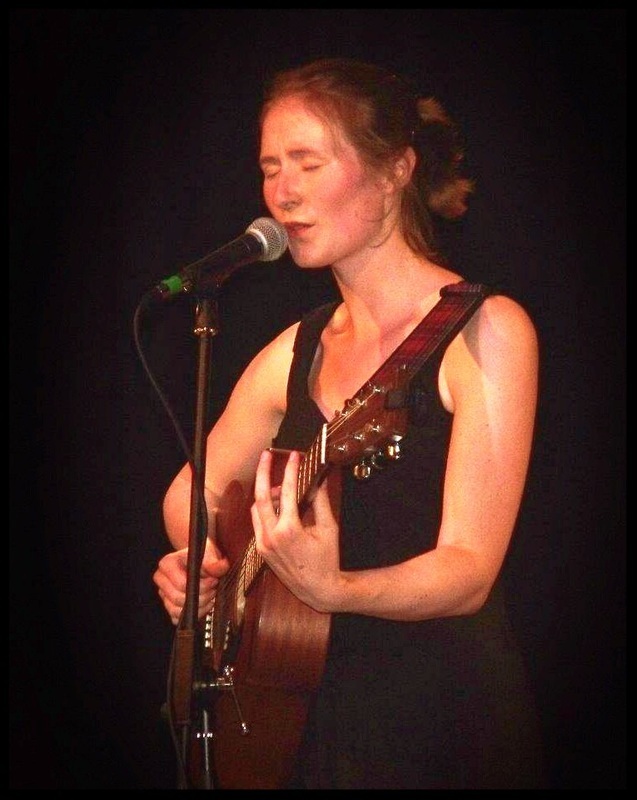 She often performs solo, but for festivals and bigger events brings accomplished musicians to accompany her on stage. 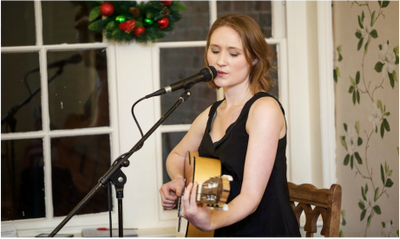 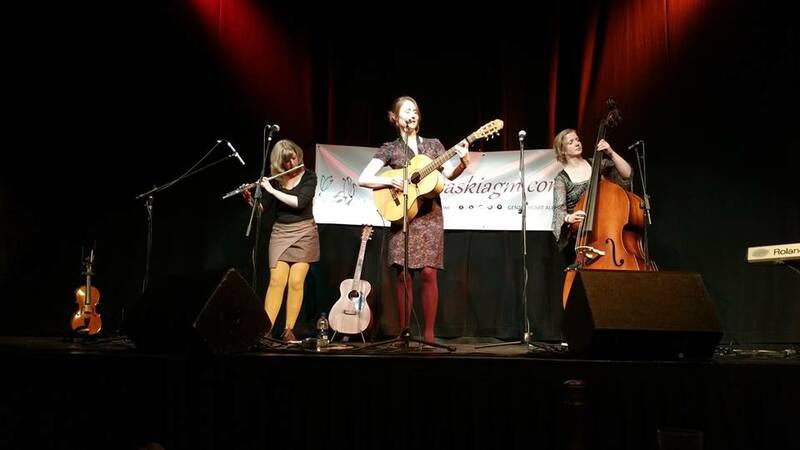 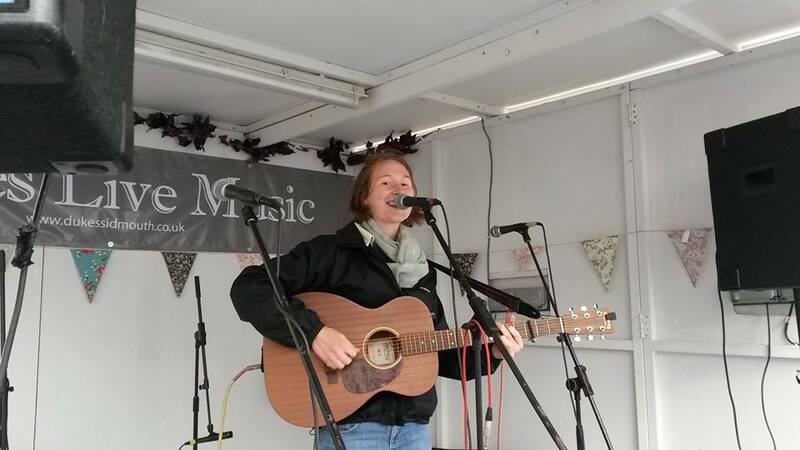 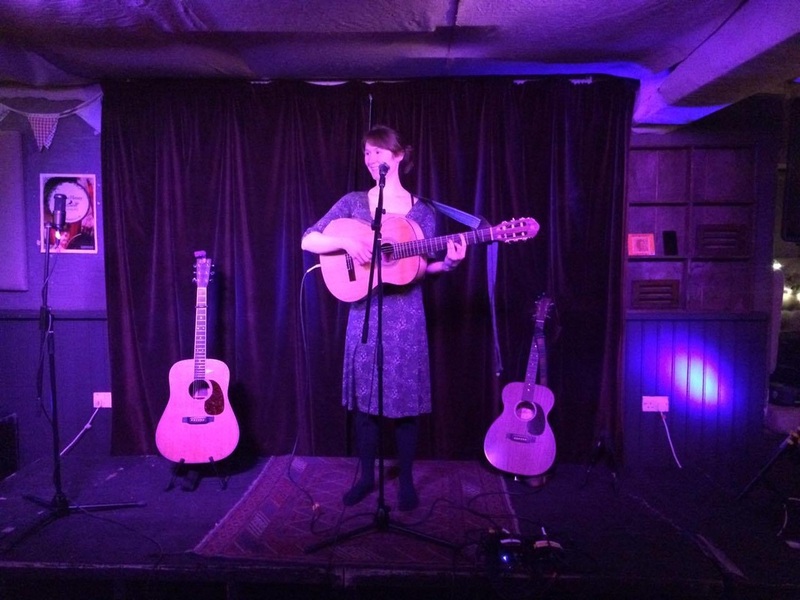 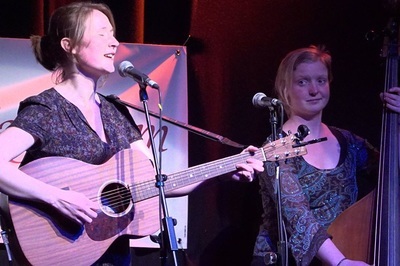 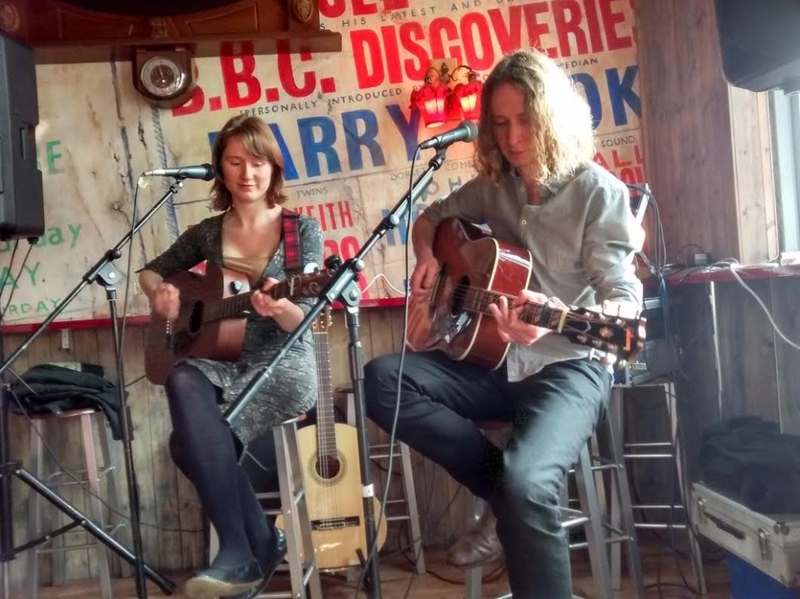 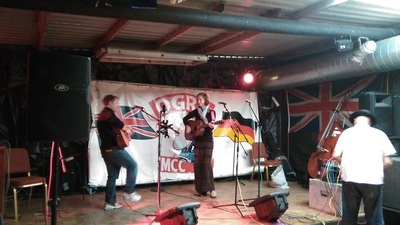 "Winchcombe Folk Night was very impressed by the two sets that Saskia and Pete gave us. 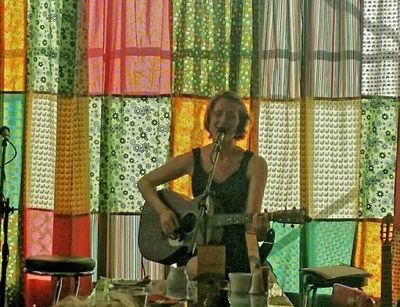 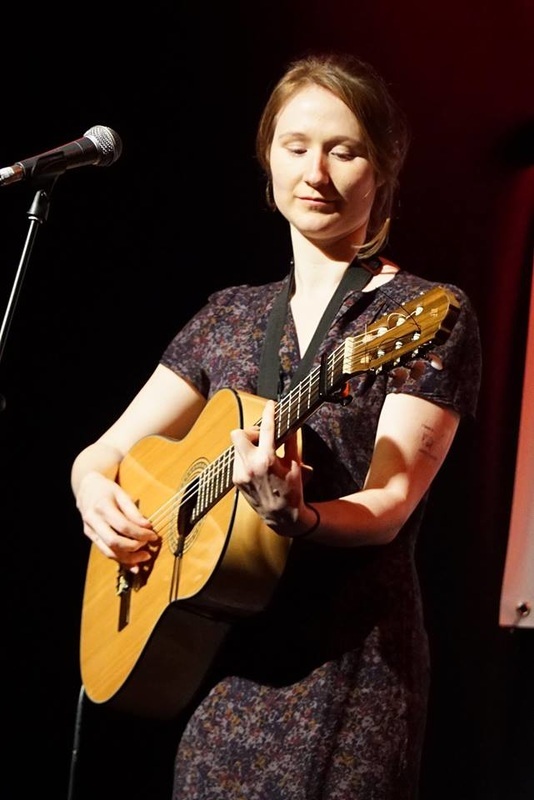 Saskia's own songs all have a good story behind them, and her covers of country folk are fresh in their delivery and arrangement. To have Saskia's clear, lovely voice interwoven with Pete's sensitive fiddle accompaniment is a delight. Brilliant soloists in their own right, they are even better together. 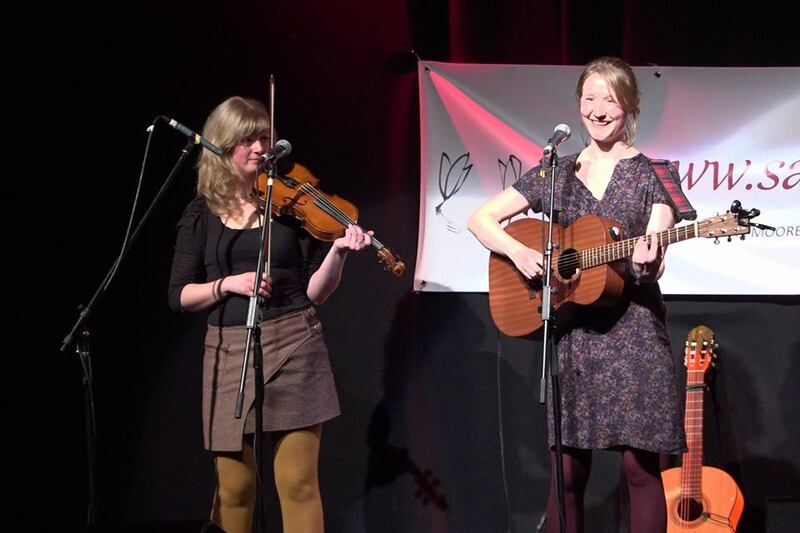 We wish them the success they deserve this year." 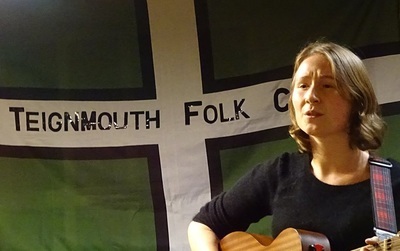 Chris Carruthers, Winchcombhe Folk Club Jan 2016.
" Saskia Griffiths-Moore. 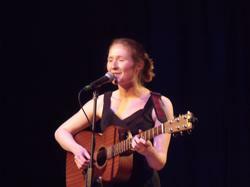 A wonderful Stroud musician. Look out for her. Sweet, melodic, haunting folk voice, songs redolent of beauty." "Your voice echoes in my mind........ so unique and beautifully tuneful." "...it was this heart-on-your-sleeve style that soon drew in the audience..."
Saskia Griffiths-Moore - remember the name. Given the right breaks, she has the potential to become a big name in folk-soul singing. 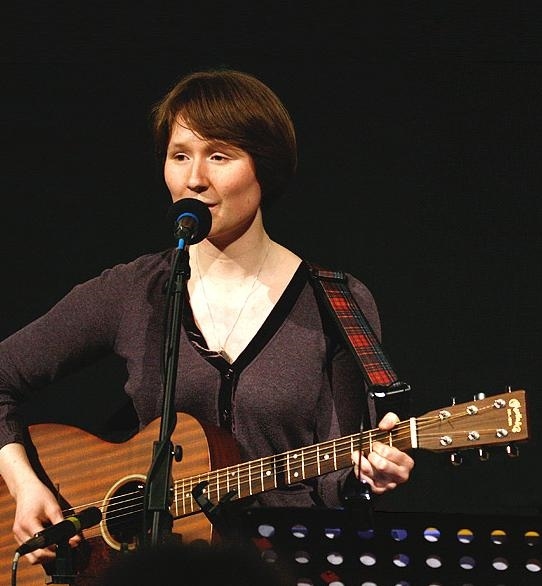 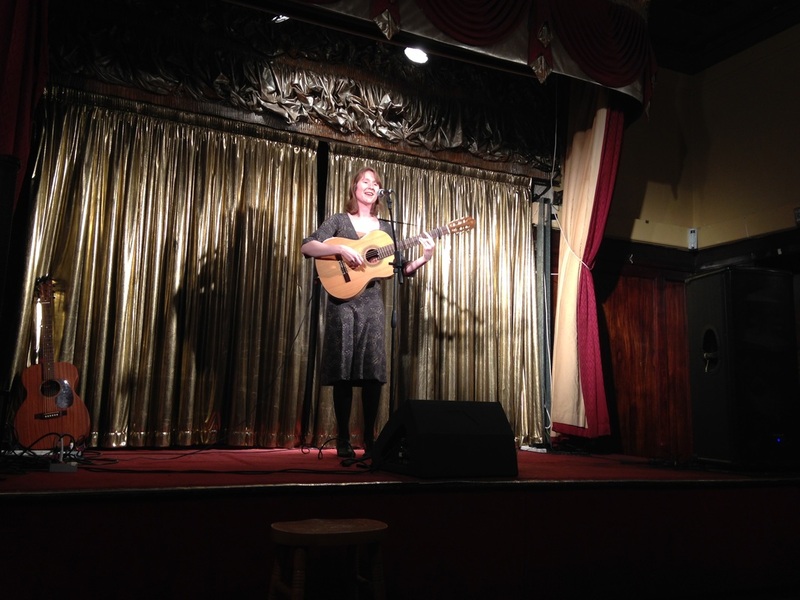 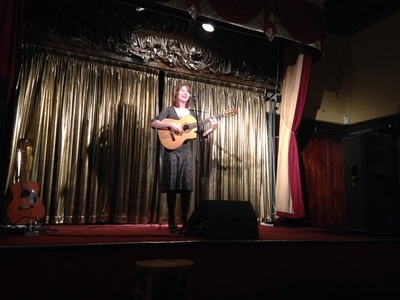 That was clear when the Gloucestershire lass made her East Anglian debut recently at the Fisher Theatre at Bungay, where a full house was delighted by her relaxed style, clarity of voice and the thought-provoking songs, many of which she had composed herself. 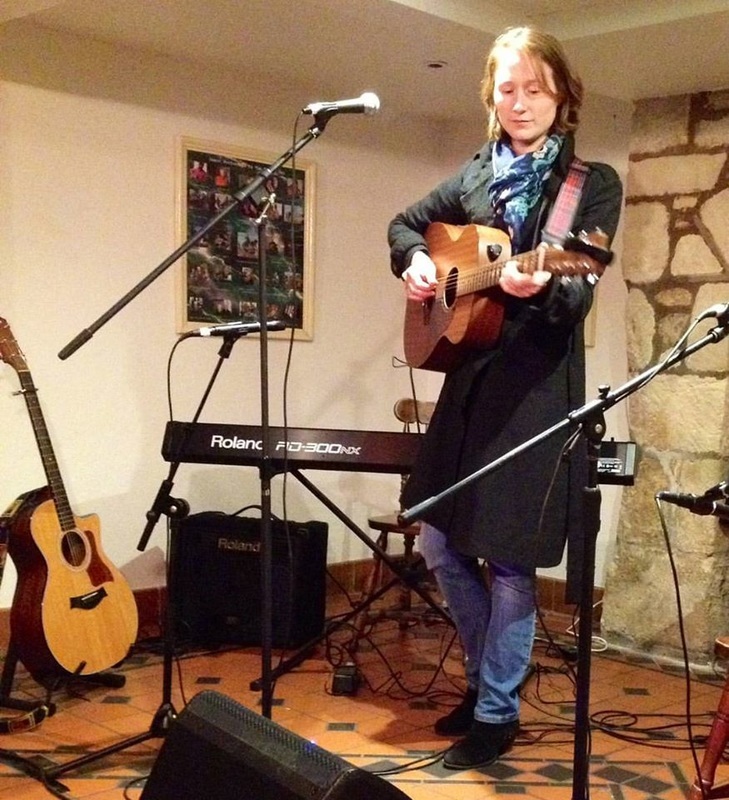 It has been said that there is a hint of Joan Baez, Joni Mitchell and Eva Cassidy about Saskia. That is true – but she also has her own individual tone, nuances of voice and phraseology which are a joy to listen to and so easy on the ear, and which set her apart from others. She has taken the bold decision to give up work to make a living from her singing, and is soon to record her first album. 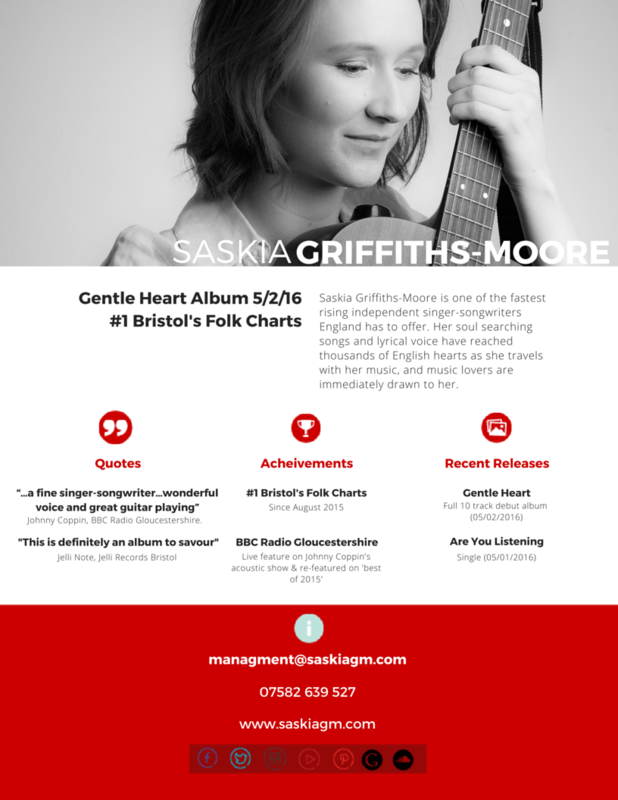 There is a gentle simplicity about much of Saskia’s work – but she has a huge determination to succeed. 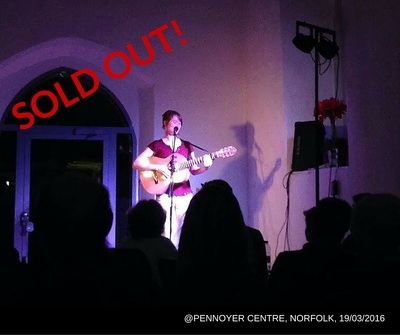 Judging by her Bungay debut and her performance at the Seagull Theatre at Lowestoft the following night, Saskia is a name which could become familiar at national level before too long. 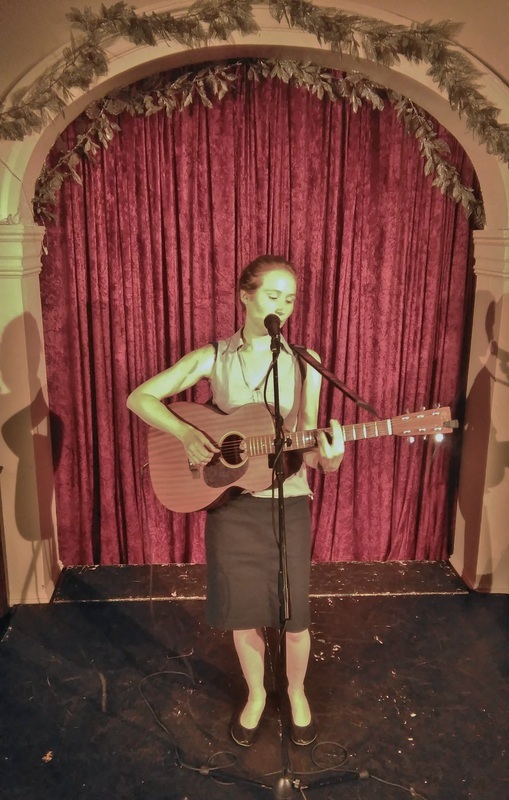 She deserves to go far, and certainly has the talent. 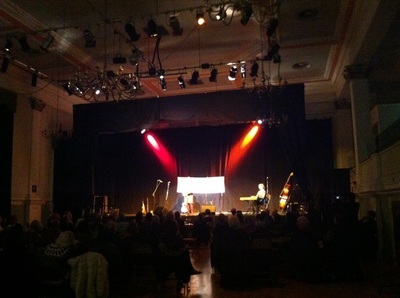 ...& similar in Cardiff, Bristol, Cheltenham, Gloucester, Stroud, Cirencester, Frome, Chippenham etc.